What is a Required Assessment? A required psychological assessment is an evaluation of your present mental functioning, personality, and behaviors deemed necessary to determine your aptitude to perform in various situations. You may be required to have an assessment if you are seeking medical clearance on certain surgical procedures, looking to adopt a child, or in situations pertaining to employment eligibility or child custody. At Psychological Assessment Services, Dr. Tansman can provide required psychological assessments for pre-surgical and pre-adoption evaluations exclusively. To schedule an appointment with Dr. Tansman at her Los Angeles, Rolling Hills, Pasadena or Irvine office, call (310) 734-0306 or contact us online. What are Pre-Surgical Psychological Evaluations? A pre-surgery psychological evaluation is an assessment designed to help your healthcare provider decide whether or not you are psychologically prepared to have certain types of invasive operations that require strict adherence to post-surgical lifestyle changes, including bariatric weight loss surgery and spinal cord stimulator (SCS) or dorsal column stimulator (DCS) implantation surgery. Specifically, the psychological evaluation will analyze your motivation and readiness for the operation, and any behavioral challenges or emotional factors that may impact your ability to cope with the surgery and adjust to life after the operation. There are two elements of a pre-surgical psychological evaluation: the clinical interview and the psychological testing. 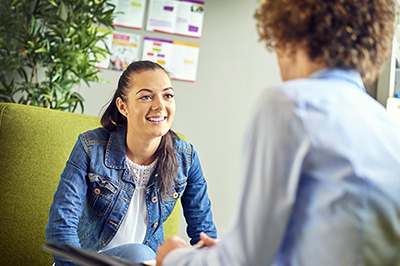 The purpose of the clinical interview is to obtain a general understanding of how you came to the decision to have surgery, your rationale behind this choice, and your past and present health information. The psychological testing provides Dr. Tansman with an objective measurement of your presentation style, psychological adjustment, and readiness for surgery. Your pre-surgical psychological assessment with Dr. Tansman will begin with a clinical interview. She will focus on your behavior, psychiatric symptoms (current and past), and your comprehension of the impending surgery and its associated lifestyle changes. These can include questions designed to evaluate your current mental health status, such as how well you are sleeping, your attention to detail, your social behaviors, and to check for signs of thought disorder. During the psychological testing, you will be asked what goals you hope to obtain from the surgery and the time frame in which you hope to realize those goals. If your reasons or expectations for the surgery are unrealistic, then you may have a high risk of mood issues and noncompliance post-surgery. Dr. Tansman will reflect those findings in her results. What are Pre-Adoption Psychological Evaluations? A pre-adoption psychological evaluation is an assessment designed to determine whether a couple or individual is able and prepared to adopt a child. These evaluations are typically part of the international adoption process; each country’s adoption agencies have their own requirements for what the evaluation should include, as well as what the focus of the evaluation should be, the methods used to conduct it, and how to analyze the data and communicate the results to the appropriate authorities. Dr. Tansman is qualified to perform pre-adoption psychological assessments in a thorough and timely manner and will tailor her report to your chosen adoption authority to help the agency decide whether or not you are a suitable candidate. During the assessment, Dr. Tansman will maintain impartiality in order to keep her observations, testing, and resulting inferences unbiased. After the assessment is completed, Dr. Tansman will prepare the letter or report required by the host country, and will only include required information. We understand that psychological evaluations can seem overwhelming and confusing. At Psychological Assessment Services, Dr. Tansman is prepared to provide you with the necessary tests and reports you need to complete your pre-surgical or pre-adoption evaluation. Don’t delay; make your appointment with Dr. Tansman today by calling (310) 734-0306 or by contacting us online.